This is one of the strangest films I have seen all year, my mind was well and truly boggled after it. I didn’t hear much about Escobar: Paradise Lost before I went to see it and I am now realising why. The script was awful, the direction was misguided and loose, although to be fair it is Andrea Di Stefano’s first feature. 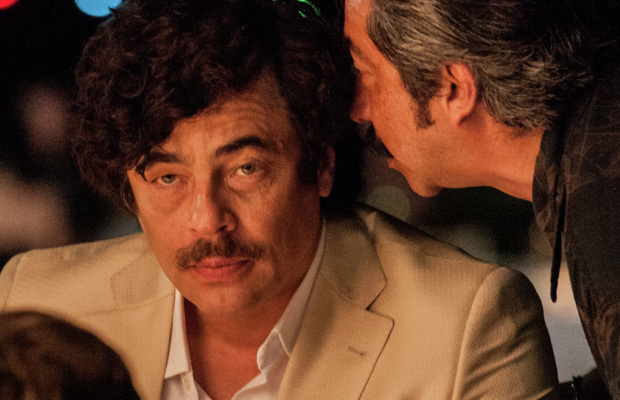 Nevertheless, I could not invest any time or energy into any of the characters with the exemption of Pablo Escobar exceptionally played by Benicio Del Toro. I wanted to see more of Del Toro as “El Patron” on the screen, he commanded every scene he was in, exerting the presence that surely Escobar had in real life. Escobar, who was equally a hero and villain to most Colombians, he is also one of the most infamous characters of the 20th century, and while Benicio Del Toro did that character justice, the film did not! If the director concentrated on the story of Escobar, and utilised the great actor he had playing him, rather than focusing on Nick played by Josh Hutcherson then it would have been a much better film. So if it comes to a cinema near you DO NOT WASTE YOUR MONEY.